The Build Phase is a show dedicated to helping you build a better turn. VS System 2PCG can be a complicated game and that's why you need The Build Phase. Listen in as mrben breaks down the toughest turns, explains difficult plays, and interviews leaders in the community. 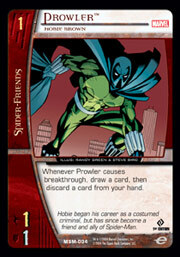 In Episode 161 mrben talks about the best Supporting Character in the Spider Friends expansion. And some other stuff too.